Return Springs are the machine elements absorbing and storing the energy by resisting the pulling force in axial direction. The tightness of a return spring determines the pre-strain force of the spring. Pre-strain force is the minimum force quantity sufficient to separate the wraps of the springs. 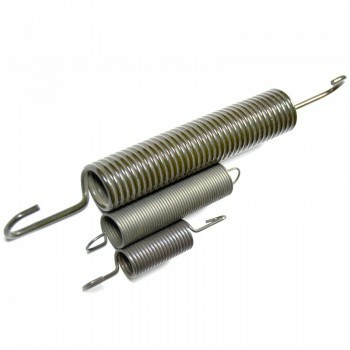 Return springs can be produced in firm external diameters and various hook forms and angles. 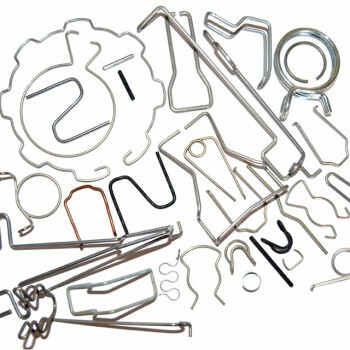 Dominyay produces standard pressure, return and cocking springs, wire formation, clips, return springs, sheet metal form springs and wheel cover wires mainly for automotive and major appliances industry in Izmır Ataturk Organized Industrial Zone. Thank you for your concern ofr DOMINYAY. You may contact us via the following addresses.